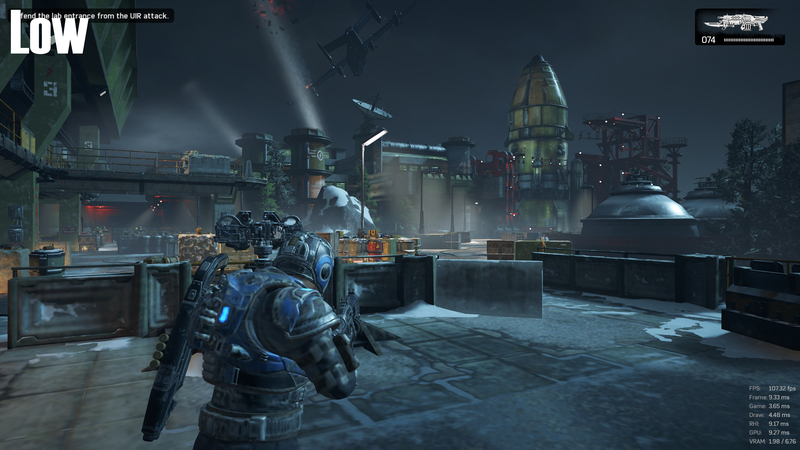 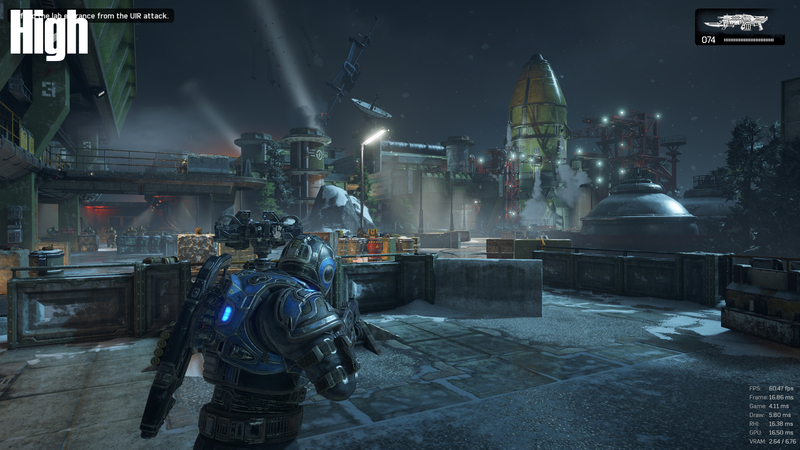 In industrial locations, we can really see where the game sacrifices graphical fidelity at lower settings, lacking complex lighting effects and the particle effects that can be seen on the silo in the distance. 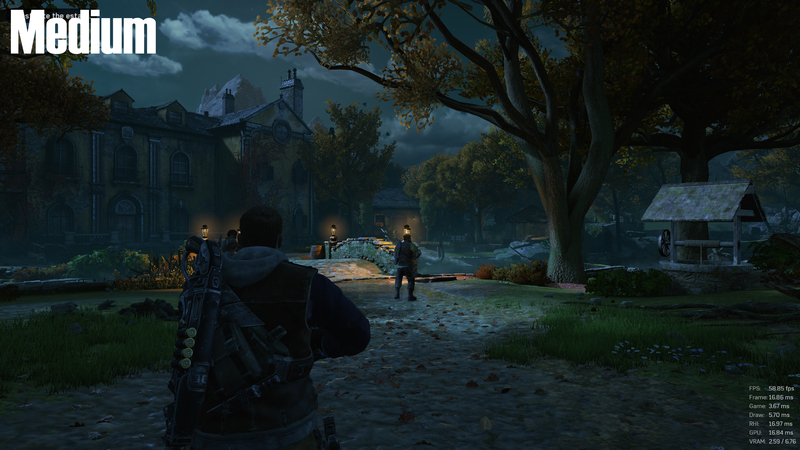 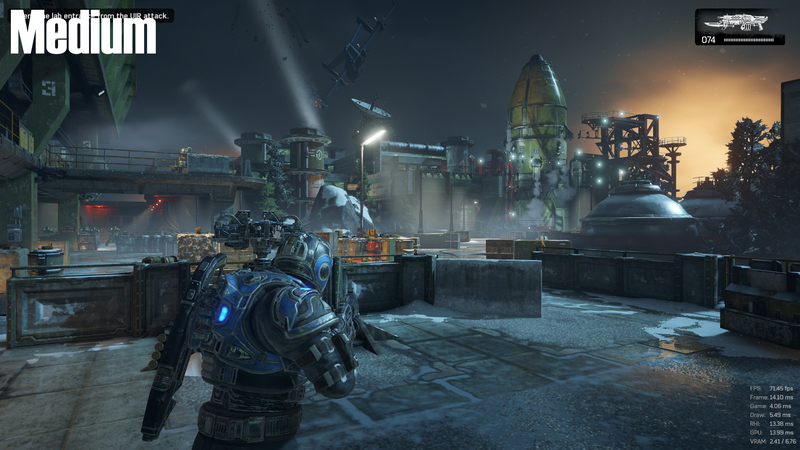 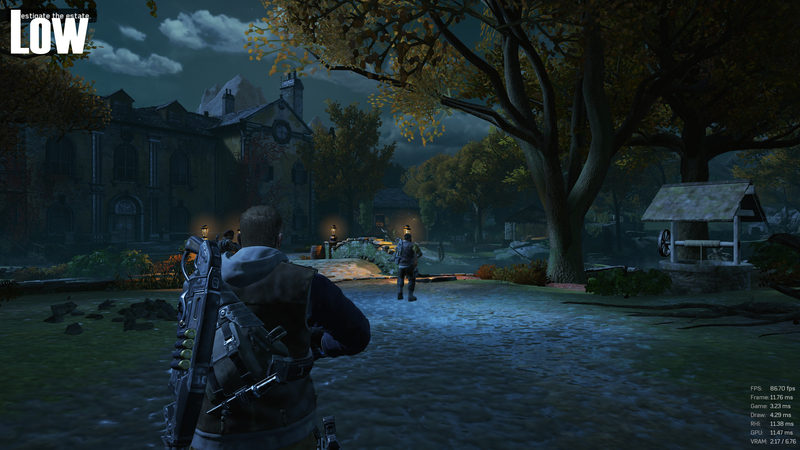 At medium settings Gears of War 4 gains reflection effects, higher resolution textures and complex lighting and shadows, with higher settings working to enhance these graphical effects further with higher particle counts and increasingly complex lighting. 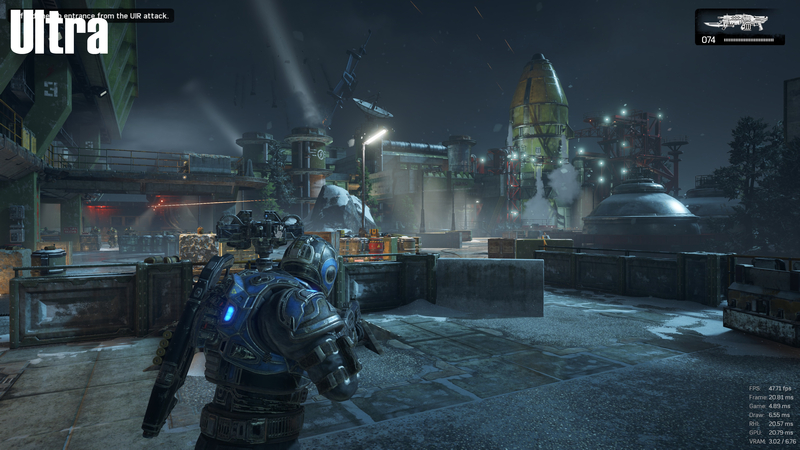 When looking at each screenshot side-by-side we can see that there is a clear difference between all of the graphical settings, though it is hard to notice the difference between Ultra and high while the game is in motion. 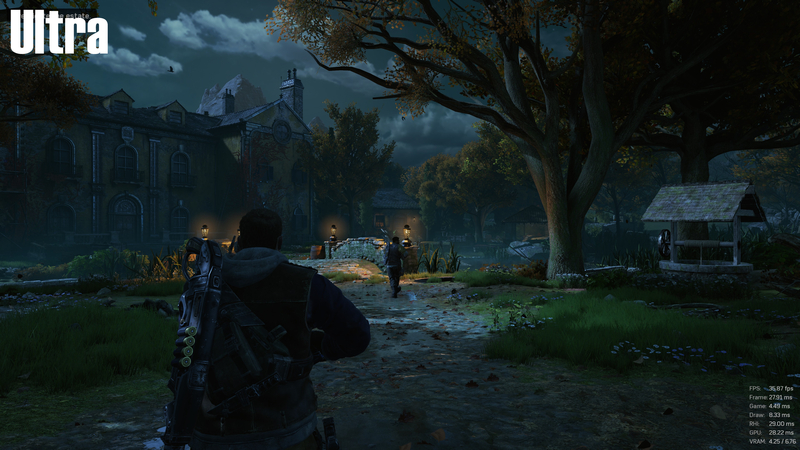 Again we see here that low settings lacks any real detail when it comes to foliage and other environmental details, with medium adding a lot of additional grass and other details and high giving players all environmental details. Moving to Ultra will give the game additional lighting details and reflective surfaces as well as additional branches on some of the trees, though this will be almost impossible to notice without a side-by-side comparison.